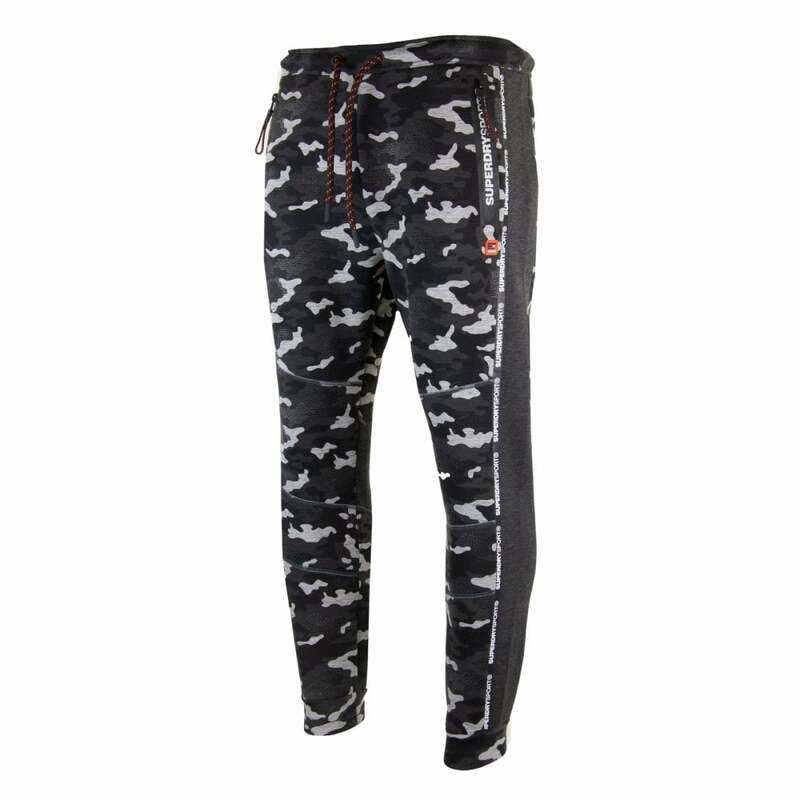 These Superdry Gym Tech Taped Joggers are a polyester, viscose and elastane blend and have a grey and black camouflage pattern and plain grey panels down the legs. They have an elasticated waistband with a thick drawstring, two zip pockets at the sides with Superdry Sport branding and one at the rear. Superdry Sort branding also appears down the legs and on a rubber badge on the left hip.